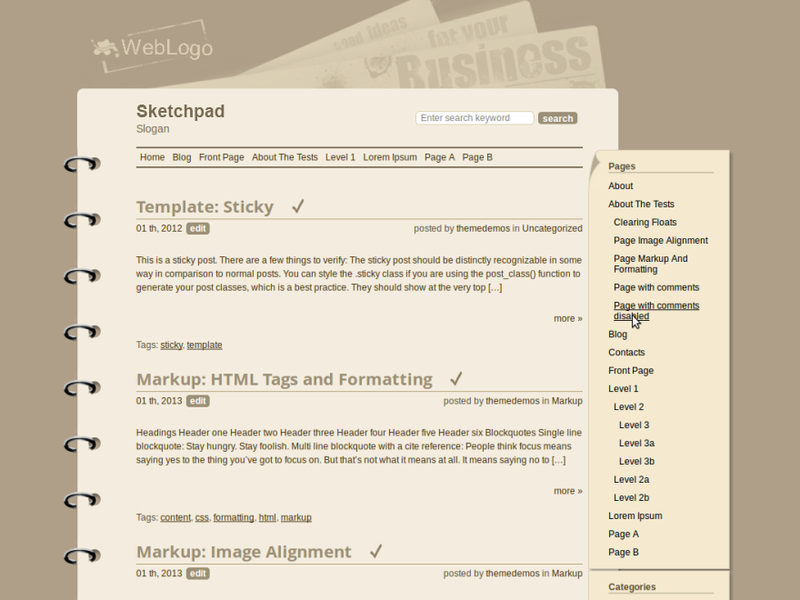 If you are looking for a great theme to note down your thoughts, experience or best practices, there hardly is a better option that Sketchpad – a convenient all-in-one solution to making your website look stylish and uncluttered at the same time. If you are looking for a great theme to note down your thoughts, experience or best practices, there hardly is a better option that Sketchpad – a convenient all-in-one solution to making your website look stylish and uncluttered at the same time. This theme is designed as a twenty-first-century notepad, combining the traditional elegance of notetaking with a nouveau worldview. 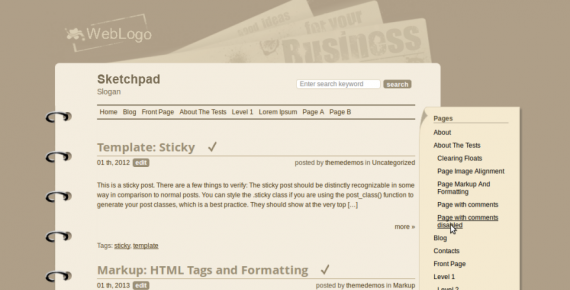 This way, any ideas of yours will fit in harmoniously, and your readers will appreciate a polished yet completely unintrusive interface. 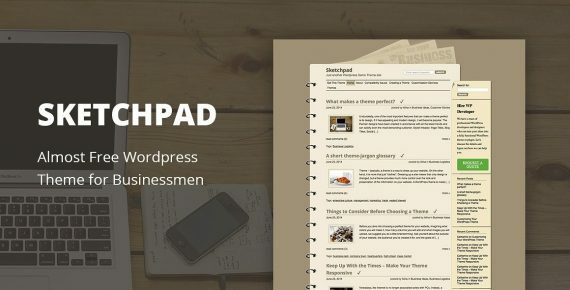 Sketchpad will be most well-suited for business news, journalist reviews, morning news, personal opinion blogs, event reviews, business ideas, case studies, cuisine, bookstores, book reviews and much, much more.